Being partner in the BES (Betuwse Energy Samenwerking) project, ReRa Solutions has received funding from the European Union. The goal of this project is to make a part of the Betuwe region energy neutral by integrating all available renewable energy sources in the region. Within this project, ReRa Solutions will develop a low cost radiance sensor. With this sensor, the actual performance of solar installations can be monitored. ReRa Solutions will cooperate with the Radboud University Nijmegen, Munity Services, Energie Dienstenbedrijf Rivierenland, Energiepartners and Benning. Solar cells and modules are often characterized by ‘current voltage’ measurements, which are currently executed with multifunctional analysis equipment. These tools can place voltages on samples, for short, but also for longer periods, and analyze the output current. However, the existing tools (“Keithley Source-meters”) are relatively expensive and only allow the use for one solar cell or module at the time. Within the TKI iDEEGO project TRUST, ReRa Solutions has developed and built a new type of electrical load, which allows both long and short term exposure to external voltages. The capabilities of this load have been studied and presented by Solliance in Eindhoven. Last week ReRa Solutions has installed her first ReRa Monitoring Tower at the new Solar Park Nijmegen (ENGIE). The Monitoring Tower is a sophisticated monitoring unit to be used for solar parks to determine the actual Performance Ratio of solar panels. With this ratio, it can be determined if the solar panels are working correctly. 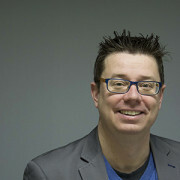 ReRa Solutions has received funding from Power2Nijmegen. Solar Park Nijmegen will be launching customer for testing the monitoring tower in practice. 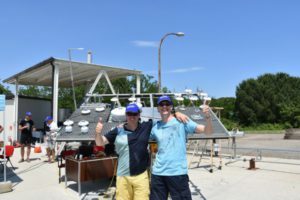 In the latest Spectrum edition from LOT Quantum Design (n.143), an article was published on our new Solar Cell IV-Converter. During the meeting of Power2Nijmegen which was held on Wednesday 29 June, ReRa has presented her new ReRa Monitoring Tower. The monitoring tower will be implemented to check the performance of Solar Park Nijmegen (owner ENGIE). 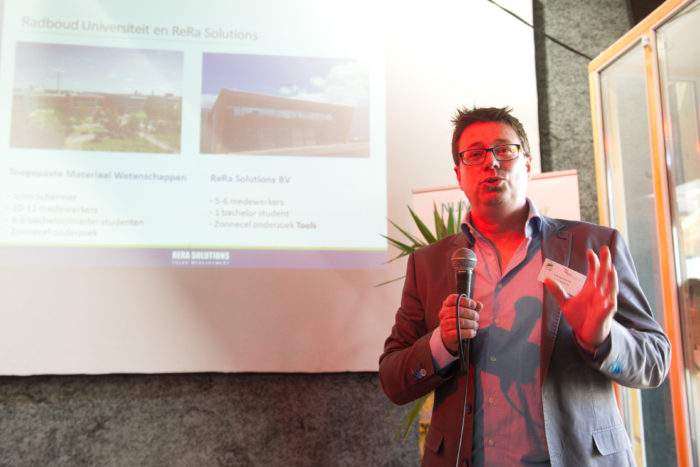 ReRa Solutions has received funding from Power2Nijmegen. Solar Park Nijmegen will be launching customer for testing the monitoring tower in practice. ReRa presents new LED powered Quantum Efficiency Measurement tool at Intersolar 2016. The Intersolar 2016 will be held from 22-24 June in Munich. The new QE system is developed in close cooperation with her partner Abet Technologies. The system will be demonstrated at the booth of Abet Technologies (A117). ReRa Solutions has built a completely new website for the International Spectroradiometer Comparison (ISRC 2016). Please have a look at www.intercomparison.eu for the latest news on the ISRC 2016. ReRa Solutions will be present at the Intersolar Europe 2016 which will be held from 22-24 June 2016 in Munich. This year the Intersolar Europe will open its doors in co-location with the EU PVSEC. It is the world’s leading exhibition for the solar industry and its partners. In 2015, more than 1,000 international exhibitors and around 38,000 trade visitors attended Intersolar Europe. The exhibition focuses on the areas of photovoltaics, PV production technologies, energy storage systems and renewable heating. ReRa Solutions has participated together with the Radboud University Nijmegen in the 6th International Spectroradiometer Comparison (ISRC) which was held from 23-27 May 2016 at the ENEA site of Trisaia (Italy). This event is yearly organized by the European Joint Research Center (JRC). For more information please go to www.intercomparison.eu.